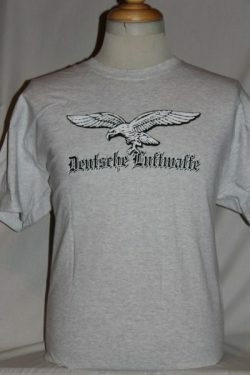 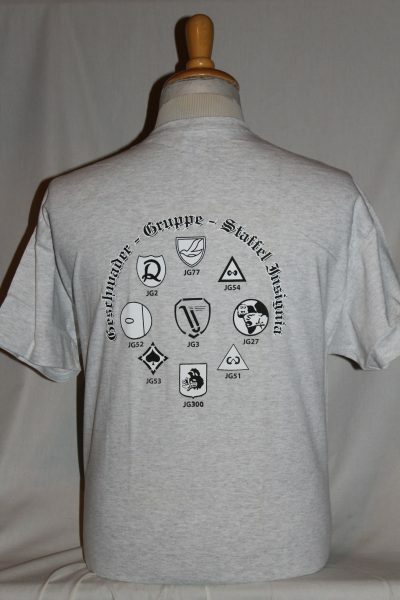 The Deutsche Luftwaffe T-Shirt is a two sided print in grey. Commemorative German Airfare (Deutsche Luftwaffe). 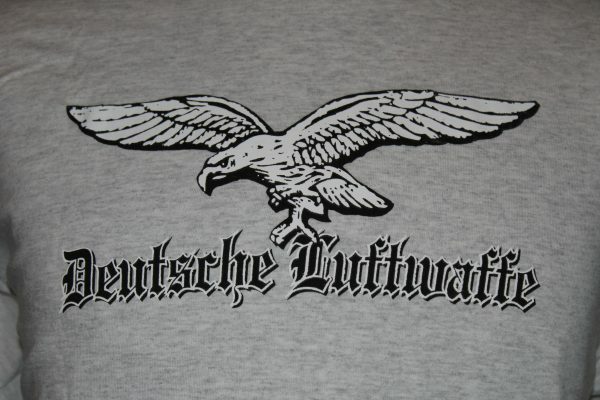 Front Design: Luftwaffe Eagle with text screened in black and white. 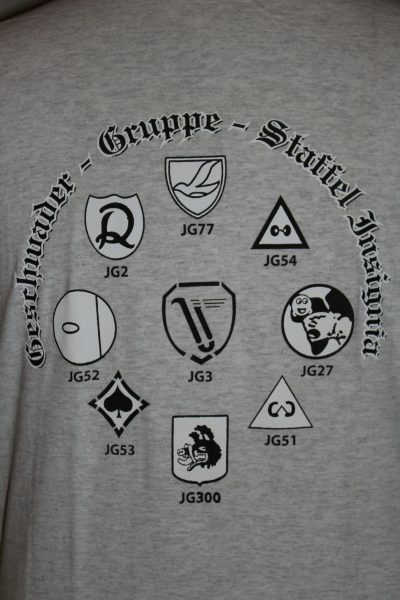 back Design: Nine unit insignia's screened in black and white.